The Plastic Dome of Norma Jean, The Murder of Fred Hampton, and more! So much of film history still remains to be discovered, and this is where the heroic work of UCLA Film & Television Archive comes in. Whether rescuing established classics from the ravages of time, helping to discover overlooked work by pioneering female directors or filmmakers working daringly in the Poverty Row ghetto, UCLA has come to the rescue of every kind of film art under the sun. At long last, the fruits of their labor arrive in New York City, with a bi-annual tour of recent restorations and new prints. BeginningSeptember 15, Metrograph will celebrate with a festival of these preservations, including extended screenings of The Murder of Fred Hampton in a new 35mm print, which find ultimate fulfillment with an audience. On the early morning of December 4, 1969, the Chicago Police Department raided the apartment where Fred Hampton, 21-year-old chairman of the Illinois chapter of the Black Panther Party, was asleep, and killed him with two shots point blank to the head. Alk’s procedural documentary acts as a righteous inquest into the circumstances of this action, and comes to a clear and coolly furious conclusion: political assassination. With The Jungle, a raw, risk-taking docudrama made by and featuring high school students in inner city Northeast Philadelphia, created under the direction of Temple University social worker Harold Haskins. 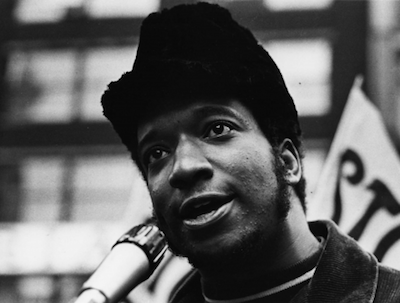 The Murder of Fred Hampton preservation funded by the National Film Preservation Foundation and The Packard Humanities Institute. Exhibition courtesy of Carol Gray, William Cottle, and the Chicago Film Archives. The Jungle preservation funded by the National Film Preservation Foundation. Before better-known female- directed narratives of women drop-outs like Wanda and Vagabond, there was the way ahead of its time Stranded, the uncompromised independent debut of writer-director Compton, who also stars as a young woman making her way across Greece with her lover and gay bestie, drifting into affairs, turning down offers of attachment, and generally doing what she wants, free of the arbitrary punishment of studio-enforced puritanism. With her second film, Compton took a dive into the supernatural, telling the story of the clairvoyance-blessed titular teenager (Sharon Henesy) as she’s manipulated by an unscrupulous boy band who want to harness her powers for their own ends. Shot on location in the Ozarks and bolstered by a sweet Michel Legrand score, it’s an enchanting magical realist miracle that only gets stranger as it goes along. Crumbling Venetian palazzos, the moldering love letters of a Shelley-esque 19th century poet, and Robert Cummings and Susan Hayward at their most luminously gorgeous, this free adaptation of Henry James’sThe Aspern Papers is the very essence of studio glamor and rococo romance, featuring Agnes Moorehead at her battle-axe best. With early American avant-garde masterpiece Moods of the Sea. The Lost Moment preservation funded by The Packard Humanities Institute. Moods of the Sea preservation funded by the National Film Preservation Fund. Laurel and Hardy’s fourth feature and arguably the best one they ever made, Sons of the Desert finds Stan and Ollie conspiring to escape their wives and trek to Chicago for the 87th annual convention of their titular fraternal lodge, whose number includes the great silent comic Charley Chase as an atrocious boor. With Berth Marks, the boys’ second sound short, which sets them loose on an unsuspecting passenger train. Sons of the Desert preservation funded by the George Lucas Family Foundation and The Film Foundation. Berth Marks preservation funded by The Packard Humanities Institute. In the 1940s and 50s the Argentine film industry was as technically sophisticated as any in the Americas, and Ayala’s noir, a headlong plunge into the troubled conscience and warped psyche of a journalist haunted by the memory of committing murder, is a preeminent example of the national cinematographic genius at work, stunningly shot by Ricardo Younis, an apprentice of Gregg Toland. If you are looking for the quintessence of Ernst Lubitsch’s art, simultaneously effortless-seeming and totally purposeful in the smallest gesture, you couldn’t do much better than this larcenous romantic comedy, in which thief Herberrt Marshall and pickpocket Miriam Hopkins meet-cute while trimming the smart set on the Riviera and decide to team up, an arrangement complicated when he decides to set up heiress Kay Francis and starts to fall for her instead. With Dinah, featuring music act The Mills Brothers practicing their unique four-part harmonizing on the song of the same name. Trouble in Paradise preservation funded by the George Lucas Family Foundation and the Film Foundation. Dinah preservation funded by New York Women in Film & Television’s Women’s Film Preservation Trust and The Film Foundation. Reinhardt, an Austrian émigré working on the fringes of Hollywood at Poverty Row studio Eagle-Lion, found the freedom to turn out a scathing expose of all-American bigotry. Newlyweds John Ireland and Jane Randolph arrive in a picture-perfect town to visit an old friend, and discover an anti-Semitic conspiracy seething beneath the placid exterior, as supposedly upstanding red-blooded patriots cover up a violent secret. An uncredited Mann pulled his weight on this lean thriller, but real star billing must go to cinematographer John Alton, who is to noir shadow what Michelangelo is to marble. A thief turned cop killer (Richard Basehart) is on the loose in Los Angeles, and to get him the LAPD unleashes a no-stone-unturned manhunt which ends with a knockout subterranean chase. This little film’s reportorial, semidocumentary style would go on to have an outsized influence, not least on star Jack Webb, whose Dragnet series it inspired. A comic superstar whose popularity and presence once rivaled that of male actors better-known today, Constance Talmadge was one of the original funny ladies of American movies. 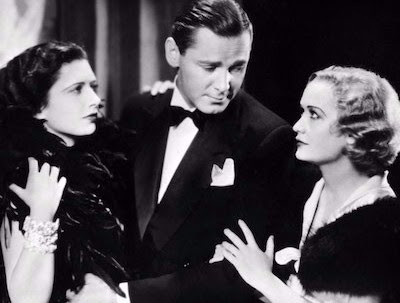 Good References, which has “Connie” conning her way into a social secretary job, shows why—an irresistible comedy of manners in which scandals pile up faster than our heroine can put out the res. With Tramp Strategy, a one-reel comedy by Alice-Guy Blaché, the first female director in cinema. Good References funded by The Packard Humanities Institute, Barbara Roisman Cooper and Martin M. Cooper. Tramp Strategy preservation funded by New York Women in Film & Television’s Women’s Film Preservation Trust and The Film Foundation.